Talk about being close to everything. The airport – the busiest single-runway airport in the United States – is just 3 miles north of downtown and across the street from San Diego Bay. It takes less than 15 minutes to drive from the airport to downtown. Mission Beach is 6½ miles northwest of the airport, less than 20 minutes drive time; La Jolla is about 15 miles north, about 30 minutes drive time, and Coronado is about 9 miles south, or 25 minutes drive time. The international border at San Ysidro crossing into Tijuana is less than 20 miles south, or about a 30-minute drive. There are two terminals, Terminal 1 with two concourses (Gates 1-10 and 11-18) and Terminal 2, also with two concourses (Gates 20-32 and 33-51). Only the concourses in Terminal 2 are connected post-security. Otherwise connecting passengers going between concourses must exit the TSA secure area and be re-screened. Southwest Airlines flights arrive and depart at gates 1-10 in Terminal 1. 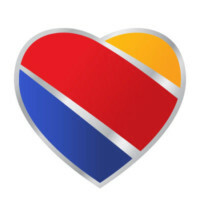 Be aware that gates 1, 1A and 2 are separate from the other gates in the terminal so connecting passengers arriving or departing at those gates must leave the TSA secure area and be re-screened when connecting with a Southwest flight at gates 3-10. San Diego likes to bill itself as America’s Finest City. The temperate climate has a lot to do with it, especially during the summer when they say “zonies” escaping the heat outnumber the locals. San Diego Tourism Authority has up-to-date travel planning information here.